7 *Luxurious* Hotels In Asia To Host A Destination Wedding In Style! Choosing a destination wedding venue is as confusing as it is exciting. And rightly so. Hosting a destination wedding requires double the patience, planning and thorough research and the wedding venue is of utmost importance. 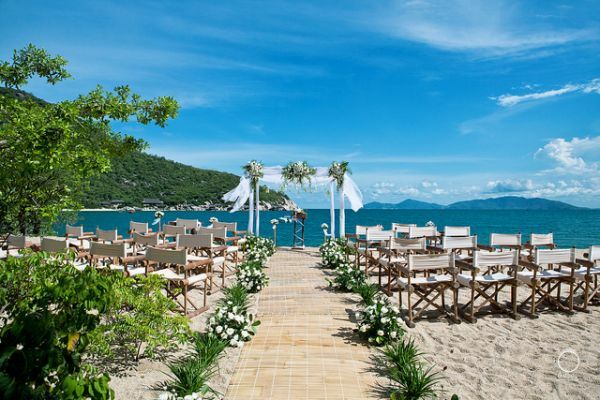 So whether it is the private beach that you fancy or a tranquil temple setting, we’ve got you covered with some of the best wedding venues in Asia. These gorgeous properties are not just perfect to exchange your vows but also double up as mini getaways that your guests will reminisce for a lifetime! Awarded with Tripadvisor’s Traveller’s Choice Award in 2014, The Dhara Dhevi is a visual representation of all things dreamy and wonderful! Even though the luxurious property is situated in the secluded northern Thai countryside, it is just a mere 15 minutes drive from the Chiang Mai International Airport, which helps especially if you have guests coming in from all over the world! With a total of 123 villas, a grand ballroom and lush lawns, it can house up to 500 guests and sure does make for a great venue for a big fat Indian wedding. 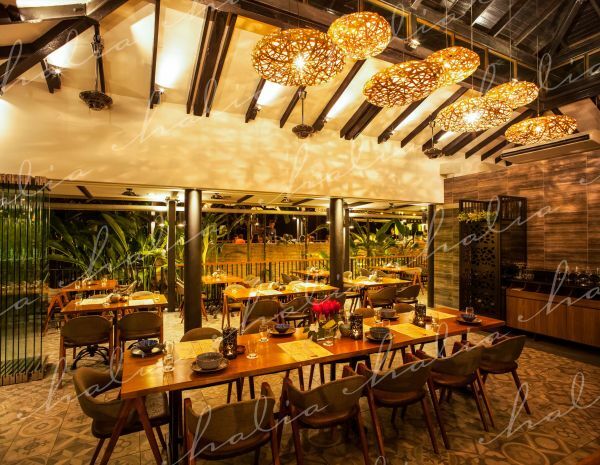 If you are looking for a picture perfect setting that combines the true beauty of the tropical surroundings and traditional Thai culture, then this resort will be the ideal place to say ‘I do’. 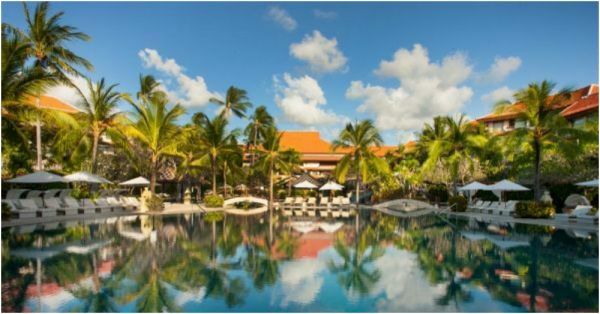 Nestled in the ‘upscale’ district of Bali, the Westin Resort, Nusa Dua is the perfect location for an idyllic wedding by the beach. 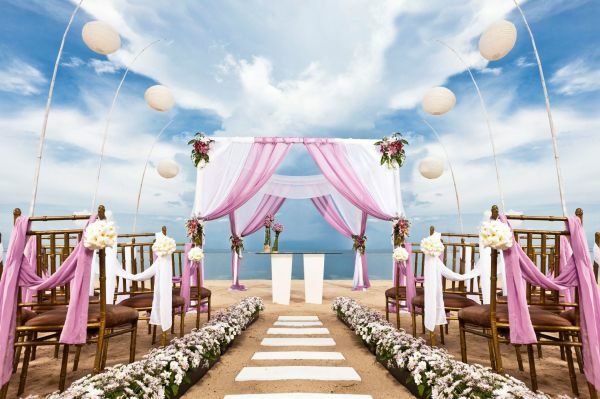 Whether it is an intimate wedding that you desire or a grand one, at the Westin, you can choose to get married in either a temple setting at their garden or a rustic set-up by the beach. The resort also offers a wide range of wedding packages that include decor, catering and entertainment options to make sure your event is seamless and well put together. Most of their wedding packages also include a personal wedding specialist along with a gift for the newlywed couple. The Westin, Bali is perfect for you when you want all your wedding arrangements tailored to the T.
Just a two hour drive from the Bandaranaike International Airport, the Avani Kalutara resort is your ultimate beach wedding venue if you want to combine the goodness of the tropical sunshine along with wonderful experiences for your guests. You could choose to marry in a riverside deck ceremony or even exchange your vows at their beautiful banquet hall, it is destined to be magical. 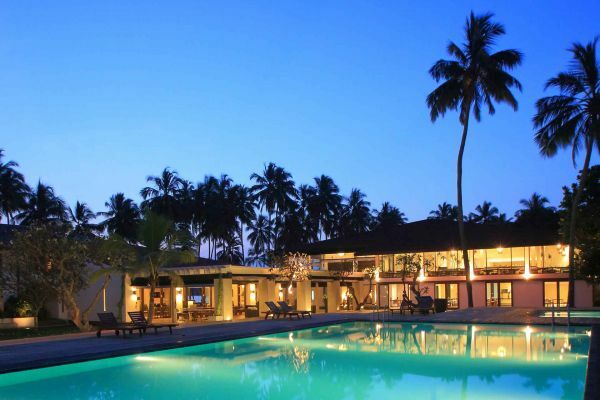 The venue can host upto 250 guests and also has special services that includes a short cruise ride for your guests and water sports facilities among others. Zero in on the Six Senses Ninh Van Bay if you want the best of both the surrounding mountains, sandy white beaches and a secluded island feel all combined into one. Every nook and corner of this resort spells luxury and the interiors are absolutely #InstaWorthy! While the beach is considered to be a popular choice for the main wedding ceremony, the neighbouring chapel is another great location to host an intimate but spectacular wedding with your close family and friends in attendance. Don’t forget to host a special sit down dinner for your guests by the rocks or on the gorgeous beach deck… It is definitely worth it. Imagine getting married at a 300 years old heritage fort that exudes royalty and magnificence at its best. Such is the aura of Fort Jadhavgadh in Pune which is slowly gaining momentum as the best destination wedding venue in not only in India but also Asia. While the 53 rooms can accommodate up to 103 guests, the expansive lawns can fit up to 3000 people at a time. Oh, and did we tell you that they also arrange an elephant for your baraat along with traditional turturi (musical instrument) players to truly make you feel like the royal that you are! If you go beyond towering skyscrapers and technological bliss, Singapore does boast of a great cultural and ecological landscape that is quite underrated. One such hidden treasure is the Villa Halia that offers a tranquil escape from the busy city life. Strategically located inside the famous botanical gardens, Villa Halia is a beautiful destination wedding location, especially if you are a nature lover. You could book the entire venue if you have a guest list of more than 300 guests or book the Courtyard room for an intimate gathering. The Raffles Grand Hotel d’Angkor is seeped deep in history and culture. Everything from its art deco inspired black and white tiled halls to the architecture, the hotel exudes an old world charm of its own. Zero in on this vintage treasure as your wedding venue, if you want to start your happy beginnings surrounded with heritage and culture and a picture perfect setting. We especially liked the Le Grand Room and Cafe D’Angkor that could be an ideal setting for wedding celebrations. However, if you are looking for an outdoor wedding with a larger guest list, then the Royal Garden and the Elephant terrace would be ideal.